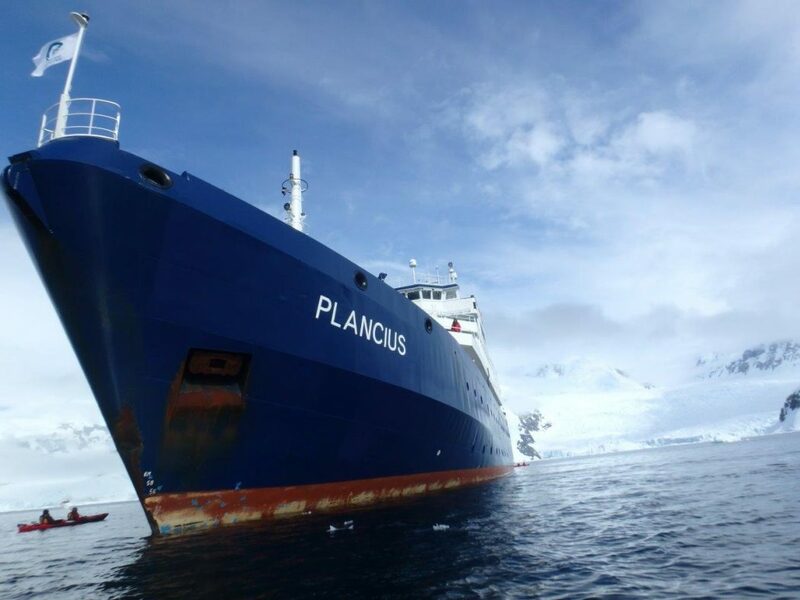 Swoop Customer Declan finally realised her long-held dream when she bit the bullet and travelled to Antarctica in December 2016. 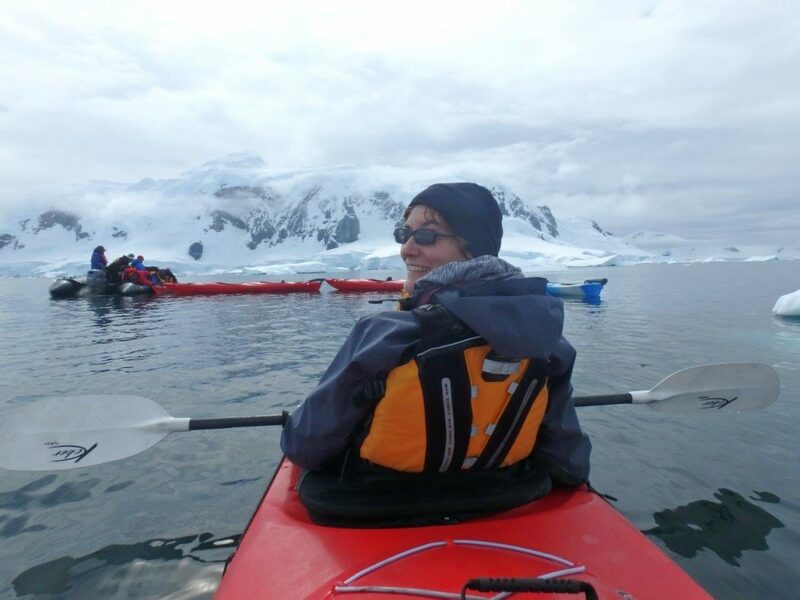 Her goal was to experience Antarctica through activity, and she enjoyed camping, hiking, kayaking, mountaineering and snowshoeing. She shares her adventure and how the expedition has made her think more about sustainable living. Q. Tell us about your shore landings and excursions? 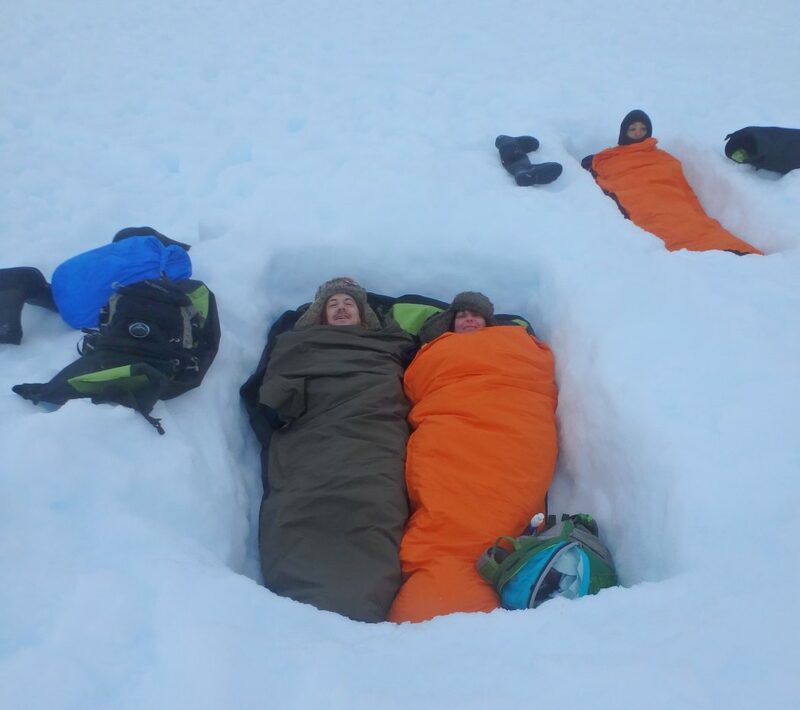 My favourite activity was definitely the camping; sleeping in the snow on a still summer solstice night was something so special it is hard to put into words. It was total peace and serenity; the majesty of the landscape was idyllic and we also had some curious penguins and seals as neighbours! We slept in a snow hole and it was the best night’s sleep I have ever had camping in my life. It was completely surreal and magical to wake up in that hole and see the dawn in Antarctica. 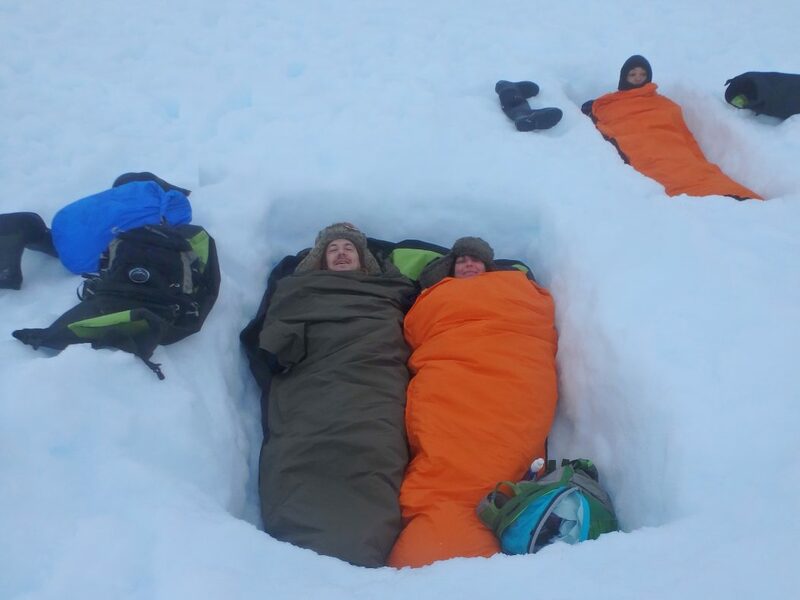 Cosy camping in the Antarctic – an experience we wont forget! I loved all the zodiac trips, from cruising round icebergs, getting a different perspective on areas we had snowshoed up, to gliding up to snoozing seals, and always accompanied by information and interesting facts from our drivers and guides. Kayaking with instructor Louise was also brilliant. We were two novices in our kayak, and she put us at ease and helped us have a great experience: gently moving through the water, passing icebergs, watching them calve and avalanche. We had many trips ashore, snowshoeing often and seeing points of interest: penguin rookeries, elephant seal colonies or sites of historic interest, such as at Damoy Hut and the wonderful Port Lockroy, where I could happily spend the rest of my days! These trips were always accompanied by brilliant expedition staff, who were full of useful and interesting information and always ready to answer questions. The lectures and talks they gave were great and were a wonderful way to pass the time on the long sailing days across the Drake Passage; there was so much interesting stuff to listen to and get involved in. I felt like I had an education on that ship and I know so much more than I did when I went; I have even more appreciation of just how special Antarctica is. Q. Did you see much wildlife? We were privileged to see a huge number of humpback whales ‘bubble feeding’ on Christmas Eve. I have new respect for penguins having seen how they live and behave – incredible birds! 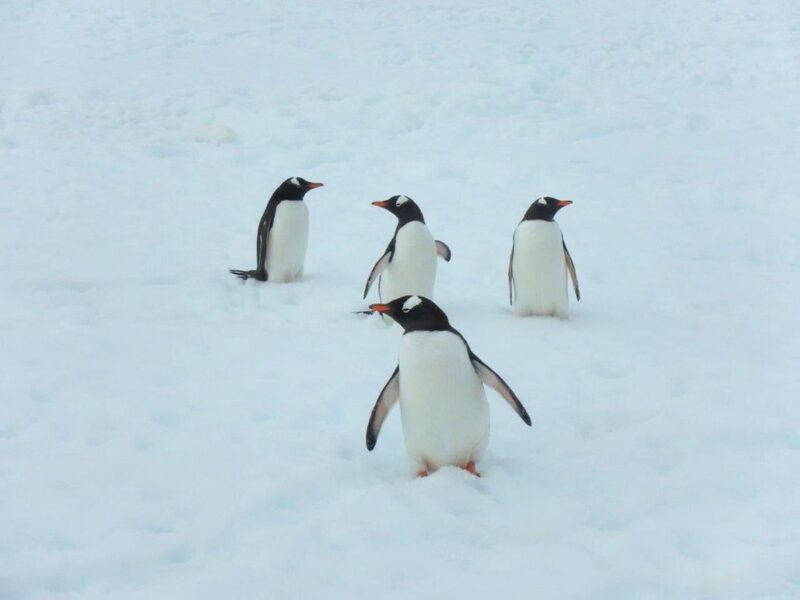 We got to see gentoo mainly, but also chinstraps and adelie penguins. It was a privilege to be able to observe them so closely and see how they live in this incredible place. 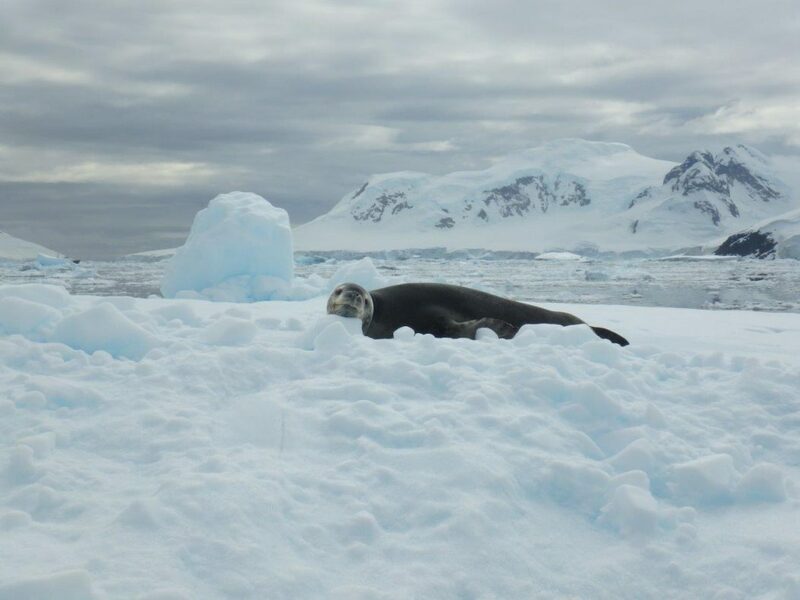 We saw quite a lot of seals including crabeaters and Weddells, and on one special occasion, a slumbering leopard seal, the size of which was quite a shock. The elephant seals were pretty special, and we watched two males battle it out at Robert Point. The wandering albatrosses and the amazing petrels that followed the ship were also a treat to watch and having the lectures about the birds and wildlife from the expedition staff helped us really understand the remarkable lives of the animals and birds of the region. Antarctica exceeded all expectations: the scale, serenity and beauty of the continent makes an indelible mark on the soul. Q. What did you learn about the effects of climate change in Antarctica? Although I thought I was aware of the effects of climate change before I went to Antarctica, being there and finding out more really made me think more about how climate change is affecting the area, with retreating ice, warming waters, changes to marine and birdlife and the decline in krill, which is the foundation of life in Antarctica. I also developed a much greater awareness and appreciation of how changes in this pristine wilderness affect the rest of the planet, through the ocean currents and weather systems. I feel like I now have a much better understanding of not only Antarctica’s ecosystem and its importance to our planet, but also the history of human interaction with the continent. I understand the importance of the research that is carried out there and that change is happening and will be dramatic. It also felt like different countries have established mini-territories and outposts there and are waiting to pounce on the natural resources in Antarctica – held off only by the Antarctic Treaty. Experiencing Antarctica has made me want to live more sustainably and it has really made me think about how I use water, how we manage waste and recycling and it has also encouraged me to pay more attention to what is happening environmentally there and around the planet. Declan has always loved travelling. Becoming a freelancer has allowed her and her husband Karl to care for her mother, work hard and have incredible adventures twice a year, having ‘once in a lifetime’ experiences on each continent. Their adventures have enriched their lives and given them a massive appreciation of life and our incredible planet.